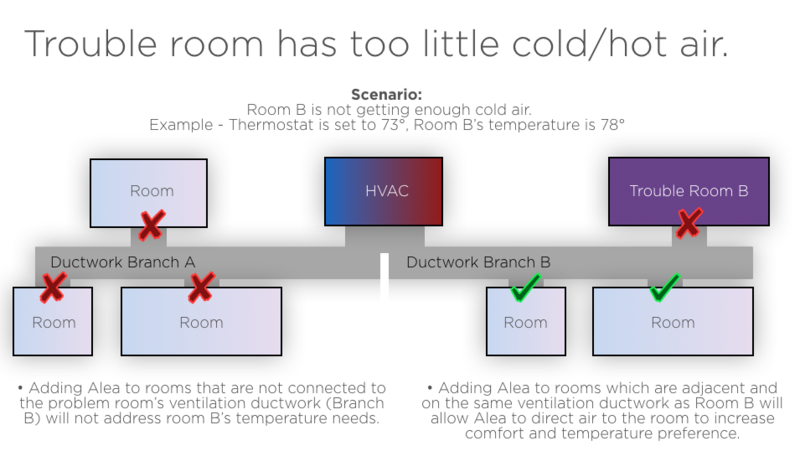 • Airflow increases in adjacent rooms connected to the same duct (we call this “indirect” effect”). In addition, you need also to consider that the same rooms can suffer from “too hot” at some time of the day or of the year and inversely from “too” cold” at other times. Our recommendation is thus that you install Alea vents in the “trouble” rooms and the adjacent ones and enable the system to determine and automatically manage year round the best configuration to meet your preferences. How long will Alea's batteries last?